^ 1.0 1.1 吳宗翰. 《西藏問題研究視野下的中國認識》 (PDF). 國立臺灣大學政治學系中國大陸暨兩岸關係教學與研究中心. 2011年. ISBN 9789860278057. ^ The double-edged sword of 'Greater Tibet'. 2009-03-11. ^ Tsering Shakya. The Dragon in the Land of Snows: A History of Modern Tibet Since 1947. Columbia University Press. 1999: 387. ISBN 978-0-231-11814-9. ^ Dibyesh Anand. Geopolitical Exotica: Tibet in Western Imagination. University of Minnesota Press. 2007年. ISBN 978-1-4529-1333-9. ^ Pierre-Antoine Donnet. Tibet: survival in question. Oxford University Press. 1994年. ISBN 978-1-85649-129-7. ^ 蒙藏委員會於2008年出版的研討會論文有多篇屬此類觀點,可參閱 蒙藏委員會藏事處 (编). 《西藏人權問題國際研討會論文集》. 台北: 蒙藏委員會. 2008年. ISBN 9789860143874. ^ Goldstein, Melvyn C. The Snow Lion And The Dragon. Berkeley: University of California. 1999年: x–xii. ^ Dibyesh Anand. 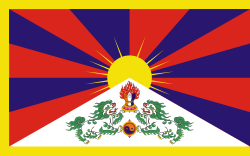 Strategic Hypocrisy: The British Imperial Scripting of Tibet's Geopolitical Identity. The Journal of Asian Studies, 68(1), 2009年, p. 240. ^ Geoffrey Flack. Tibet and the Universal Postal Union (PDF). Postal Himal. No. 79. 1994年: 47–50. ^ Tsering Shakya. Tibet and The League of Nations with Reference to Letters Found in The India Office Library, under Sir Charles Bell's Collections. The Tibet Journal, 10(no. 3), 1985年, p. 48–53. ^ Tsering Shakya. The Dragon in the Land of Snows. 《紐約時報》. （原始内容存档于2018-06-24） （英语）. ^ C. H. Alexandrowicz. 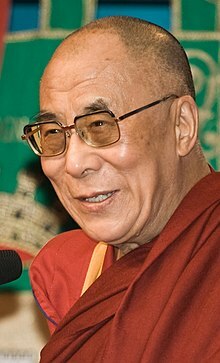 India and the Tibetan Tragedy. 《外交》雜誌. April 1953. ^ United Nations General Assembly 16th Session Resolution No. 1723 互联网档案馆的存檔，存档日期2014-01-02. ^ Melvyn C. Goldstein; Gelek Rimpoche. A History of Modern Tibet, 1913-1951: The Demise of the Lamaist State. University of California Press. 1 January 1989: 59–60. ISBN 978-0-520-06140-8. ^ John Powers. History As Propaganda : Tibetan Exiles versus the People's Republic of China. Oxford University Press. 15 September 2004: 71. ISBN 978-0-19-803884-9. ^ Claude Arpi. Tibet: The Lost Frontier. Lancer Publishers. ISBN 978-1-935501-49-7. ^ 钟辰芳. 海外藏人对甫辞世阿沛·阿旺晋美评价不一. 美国之音. 2009-12-24 [2009-12-26].